The Boston Red Sox added Steven Wright to the 25-man roster and placed Hector Velazquez on the disabled list on Monday. Wright started the 2018 season off on the 10-day disabled list while he was still recovering from surgery on his left knee. He was taken off the disabled list but was promptly placed on the restricted list to serve a 15 game suspension after an incident during the offseason. 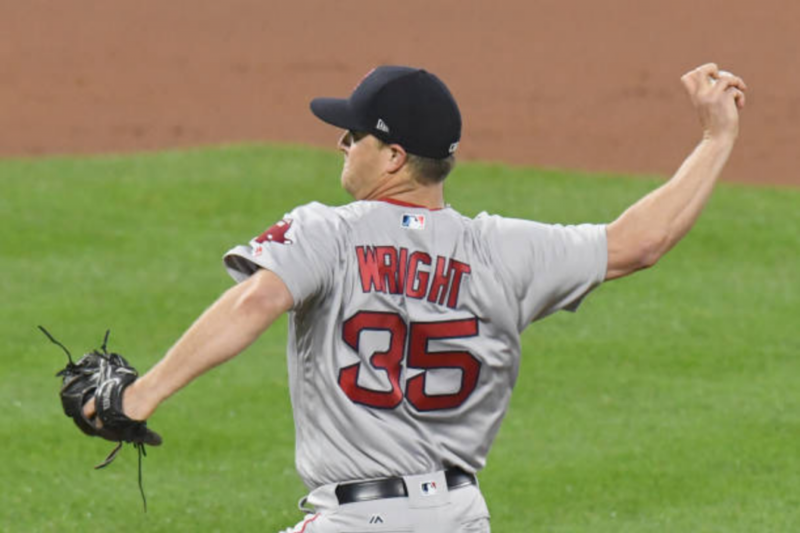 During his rehab stint with the Pawtucket Red Sox, Wright had a 4.30 ERA and 1.568 WHIP throughout his two starts and two bullpen appearances. In order to make room for Wright, Velazquez has been placed on the 10-day disabled list with a low back strain. Velazquez began the season in the starting rotation but was promptly moved to the bullpen after the return of Eduardo Rodriguez. Throughout his ten appearances, Velazquez has been dominant with a 2.10 ERA and 1.247 WHIP. Red Sox activate Steven Wright and place RHP Hector Velázquez on the 10-day disabled list with a low back strain. Velazquez pitched two scoreless innings yesterday. He’s been clutch for the bullpen, 5-0 with a 2.10 ERA. The Red Sox next face off against the Oakland A’s on Tuesday, May 15 at 7:10 p.m.